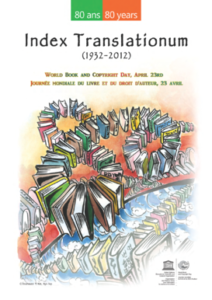 Today – 23rd April – is World Book Day, celebrated in over 100 countries world-wide. Begun in Spain in 1923, by the Valencian writer Vincente Clavel Andres to honour the memory 0f Miguel de Cervantes ( 23rd April was the date of Cervantes death ) UNESCO adopted the date in 1995, as it was also the date of the death of William Shakespeare, and began to promote World Book Day. Across Spain (and in Spanish-speaking countries around the world ) Don Quixote is read aloud and the Miguel de Cervantes Prize, for lifetime achievement of outstanding writing in the Spanish language is awarded. 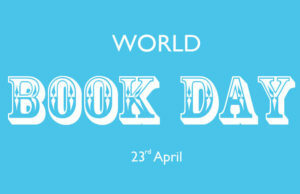 Today in the UK and Ireland we celebrate World Book Night, a variant arising mainly because World Book Day, which is focused here on children’s reading, was moved to 2nd March as the 23rd April clashed too often with Easter. 2017 is the seventh World Book Night, run by The Reading Agency and it is aimed at adults. Even though reading for pleasure is a recognised indicator of better mental health and well-being (and a range of other social issues) 36% of adults, in England alone, do not read regularly (DCMS). This is inconceivable to me. I always have a book to hand and remember, as a child, when being told by my mother to put my book away because reading at the dining table was rude, I would read the breakfast cereal packet. Since then I have learned that I was not alone in having done so (Francis Spufford, The Child That Books Built, Faber 2003). Today, books are being given away in public libraries, colleges, health centres, care homes and prisons ( click here to find out which books ). The are book based events around the country (in all regions). All this activity is having an impact upon the recipients of the books (64% said that receiving the book had encouraged them to read more, 47% going on to buy more books thereafter and 37% borrowing books from libraries). Anyone can become involved as a volunteer, either giving away books in public places on behalf of publishers and organisations, or giving books of their own, that they have enjoyed reading. See the World Book Night web-site for details. 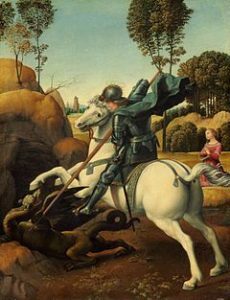 Today is also St George’s Day, patron saint of England. The saint’s day is mentioned by the Venerable Bede (7th century) as something already established by that time, so this day has a rather long history. It is, however, his martial qualities which are most commonly celebrated here – ‘Cry God for Harry, England and St George!’. Elsewhere he is celebrated in different fashion. St George is patron saint of certain parts of Spain (the former kingdom of Aragon) and, in Aragon and Catalonia St George’s Day is The Day of the Rose, with traditions similar to that of St Valentine’s Day in the UK with roses given between sweethearts. Happy St George’s Day, Happy World Book Day. Celebrate reading. Celebrate the book! This entry was posted in Books, Culture Vulture, History and tagged Books by juliej. Bookmark the permalink.